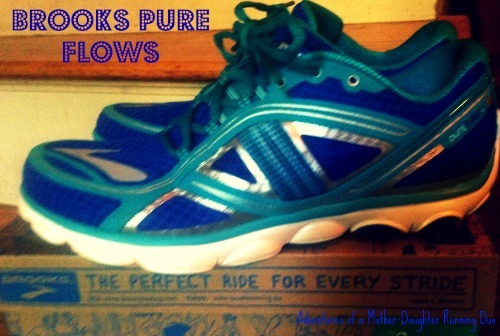 I’m sticking with Brooks for now, but moving to the Pure Flows because my physical therapist recommended I try a more flexible shoe. These are definitely more flexible, even leaning towards the whole minimalist, natural style. It’s definitely different, and not what I’m used to but so far, I’m really loving them! I’ll be sure to post some updates later on after I’ve tested them out more to let you know what I think. But now I want to post on something a little different that I’ve been thinking about lately. With my current foot tendon issues, I’ve been forced to take a break from running, and while this has been a total bummer, it’s been a great opportunity for me to branch out. A couple of summers ago, I had taken some exercise classes at a local gym, but since that summer, running has really taken over, and the gym workouts were replaced with more miles. I realized early in the summer that I really missed those classes. With my marathon plans though, it just didn’t seem like I would have the time to go for long runs AND make the trips to the gym, so I was happy enough to stick to running. Well, it’s funny how things work out sometimes… Now that I’m injured, I have joined the gym, and I’m finally able to attend classes again! It’s a glass half-full kind of situation. At least, I’m trying to look at it like that. 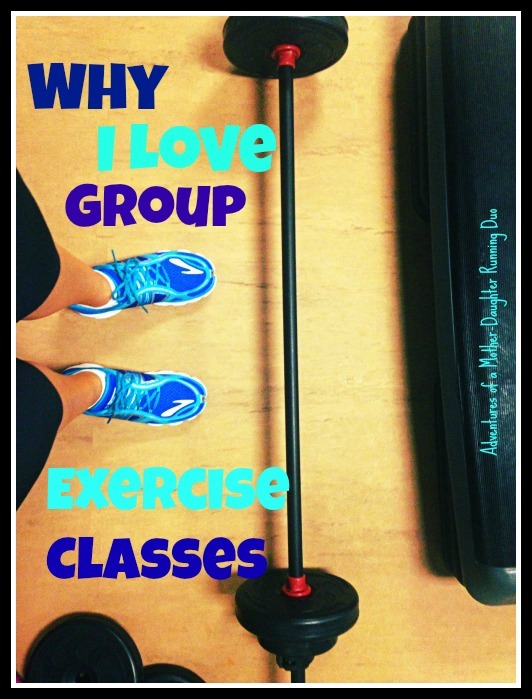 When I was in my Group Power class a few days ago (basically an hour-long full body cardio workout complete with weights), I realized that the same reason I LOVE running races is why I also love exercise classes. The social atmosphere of group exercise is not only more enjoyable, it inspires me to push myself to new levels. As a psychology major/nerd, I have read countless studies that have described the power of the group and how it impacts task performance (when it has a positive effect, it’s called social facilitation). I never really thought about it in terms of my own running before though, but it makes sense. Watching other runners give it their all in a race, helps me tap into that place inside that keeps my legs pumping when I can barely breathe. 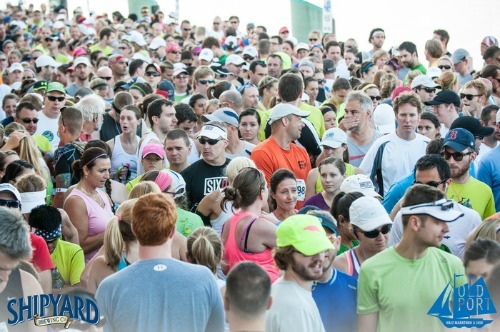 Sure, I’m a competitive person, and I like to run fast in races, but it’s so much more than that. There’s something about running or sweating it out in an exercise class with a group of people that creates a bond. You know that the person right beside you is tired too, but they’re still going. So you keep going too. And then before you know it, you’ve run further or faster or you’ve done more reps with more weight than you ever thought you could. The atmosphere at a race is electric – there’s so much adrenaline and excitement that you can’t help but get swept up in it! For so many runners, a race represents the culmination of months of training, sacrifice, and (sorry for the cliche-)BLOOD, SWEAT, AND TEARS. How can you not be excited in such an environment? 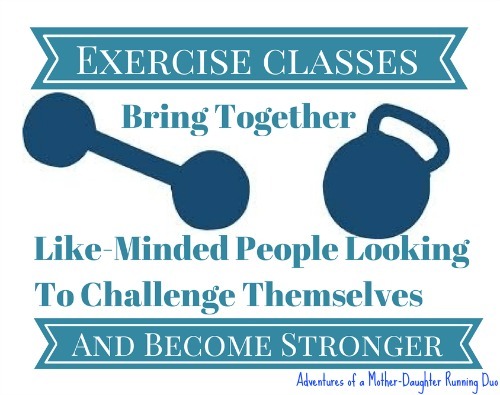 Exercise classes can be very similar (although on a much smaller scale) in that they bring together many like-minded people who are looking to challenge themselves and become stronger in the process. And that’s an experience you simply cannot replicate working out alone. 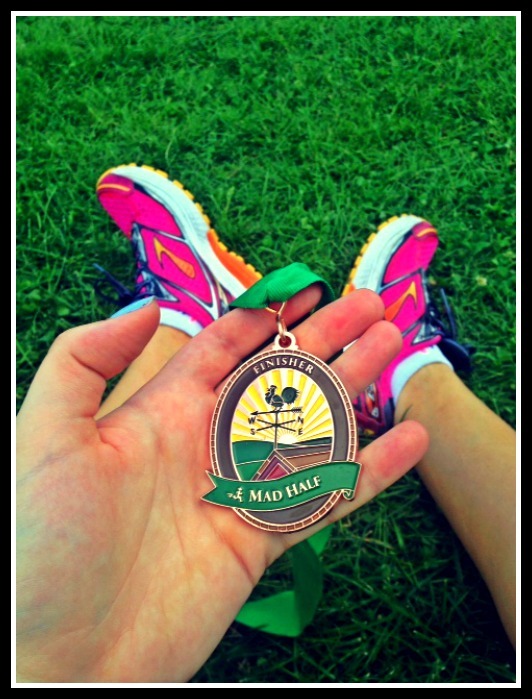 This entry was posted in Fitness, Musings and tagged Exercise, Group Fitness, Healthy Living, Running, Thoughts of a Runner. Bookmark the permalink.